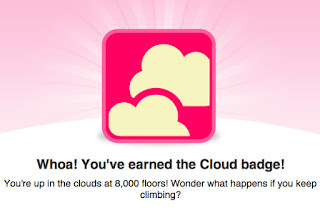 The nice folks at Fitbit sent me a badge today. Or perhaps that's the Fitbot folks. I confess I am more motivated by being told (however abruptly) what I haven't done than by being praised for what I have done, so it's this graph that I track more closely. 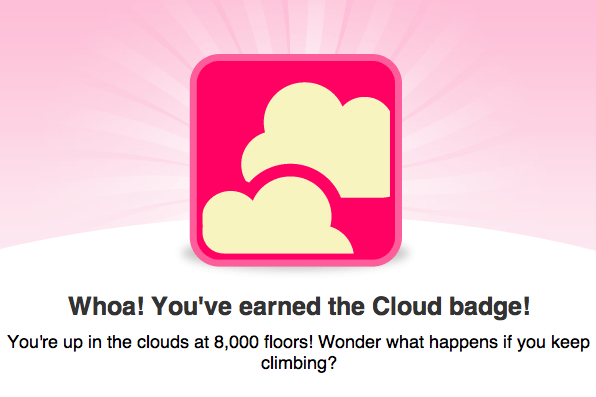 It shows me how often I am hitting my target of 10,000 steps per day. My preference - and perhaps this is a very personal preference - would be for Fitbit to tell me when I hadn't made the target and for reminders such as "that's 3 days out of 5 you haven't made the target" to get ever more intense and spur me on that way. The on screen message "Yes, you nailed it" really doesn't do anything for me. I'm the same, work or play.